Last week I had cooked about a cup of quinoa, and it was just me and my daughter, we couldn't finish up the entire quantity between us, so I had some leftover cooked quinoa. I didn't want to have it in the same way, mixed with some curry or sambar, I wanted to make something different with it and I came up with this Chilli Garlic Quinoa. 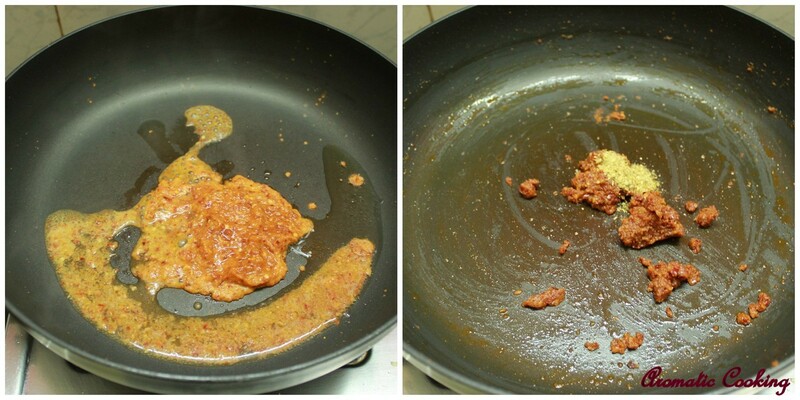 It's a very simple dish but tasted really good, and was given a 'A+' by my daughter. Cooking quinoa al dente, can be a little tricky, refer here, you don't want to have a mushy dish. Try this out if you like the chilli and garlic flavor..
Toast the peanuts, remove the skin, pound it coarsely and keep. Grind the dried red chillies and the garlic cloves. 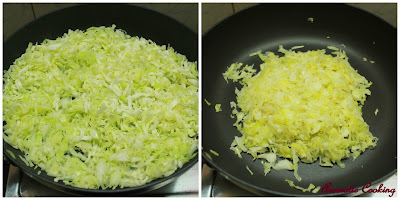 Heat some oil, add the shredded cabbage and some salt, saute it uncovered, till it's cooked but with a slight crunch. 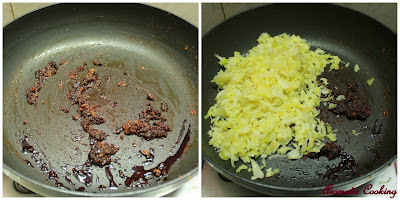 Heat some oil, add the ground chilli-garlic paste, saute it well till it gives a nice smell, for about 5 to 7 minutes. Then add the coriander powder and mix it well. Now add the soy sauce and mix for a minute, then add the sauteed cabbage and mix well. Now add the cooked and cooled quinoa and mix it well. Finally mix in the coarsely pounded peanuts and white pepper powder and serve it warm. Add more or less white pepper powder depending upon the spiciness of the red chillies added in the paste. 5 cups of cabbage might look like too much, but it shrinks a lot when you saute it, and also it's the cabbage and the peanuts that give the taste to the dish, so do not reduce the quantity. I love the chilli-garlic combination in anything! From prawns to potatoes... and using those flavours for Quinoa is a great idea! I dont know how else you use it, but a friend of mine makes the most delicious Quinoa salad with cucumbers, tomatoes, basil, onions and a wonderful dressing of lemon, olive oil, salt and balsamic vinegar. its divine! 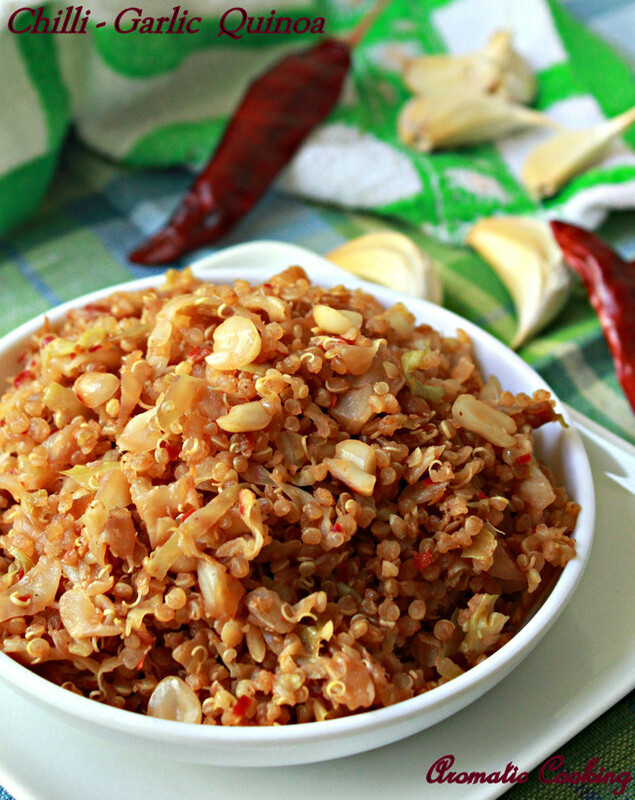 The cabbage quinoa with chilli garlic looks delicious. Healthy too. Love this cabbage, chili, quinoa combo. Healthy food. I love quinoa and cabbage really does not appear on my table often enough - I must try this! got a new recipe to use quinoa, very interesting, spicy n yummy recipe...thanks dear for this great recipe! I have been looking for quinoa everywhere...where did you find it Hema? 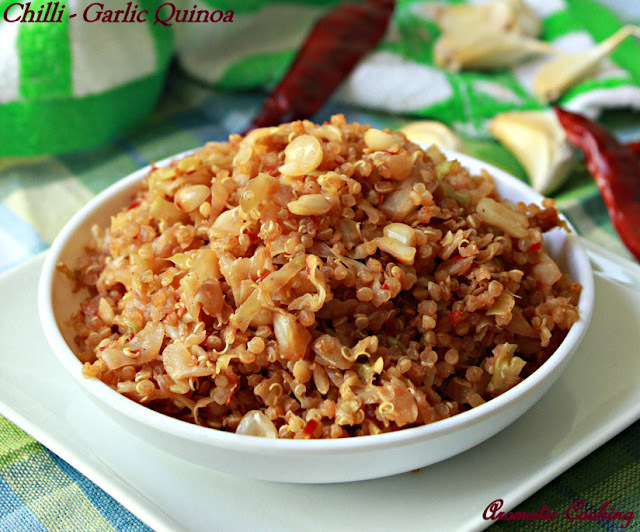 Hot and flavourful quinoa, love to give a try to this dish. like the garlic flavor.. must be awesome.. I love your whole grain take on fried rice!